So you have heard you can buy an investment property with your superannuation? Here is some general information and pros and cons of property in an SMSF. I have also provided links to more comprehensive information on the strategies most often used. People have been using their superannuation to buy property in their SMSF for decades now but it really came to the fore when SMSFs were allowed to borrow to buy assets in 2007 and when this was given more clarity in terms of borrowing to buy residential property in 2010. Investing in property within superannuation is not as straightforward as investing outside the superannuation environment and you need to do your homework. Buying property through super can be great way to invest for retirement but it’s probably most suitable for people who are only 15 to 25 years away from it. Not only do they probably have 20 years or more contributions and hence sufficient balances for a deposit at their disposal, they are also more likely to be able to hold the property until after retirement to realise the best of the tax savings. I have also provided some more detailed general guidance on specific strategies and the implementation process on my Property in an SMSF page. People are able to combine their superannuation accounts in to an SMSF and use then are able to buy both residential and commercial property with or without the support of a mortgage from a lender. However it’s important to note that all investments need to be in the best interests of fund members and meet the Sole Purpose test of superannuation and the legislation dealing with this topic. the members’ needs and circumstances (such as, their age and retirement needs). the steps that will be taken to insure the members and protect their retirement savings. Investments must be purchased on an ‘arm’s length’ basis and must be maintained on a strict commercial basis. The investment must meet the sole purpose test of providing retirement benefits to fund members. In terms of property, this means that the purchase cost and sale price – as well as the rental income – must reflect a true market rate of return. It also means that you usually cannot buy the property from – or sell the property to – someone associated with any of the Fund’s members. This is called a “Related Party” transaction. So what are the pros and cons of holding a property in Superannuation? Combined investing as a couple or family:. Your personal savings outside superannuation – or even your individual account balance(s) within superannuation – may not be enough to meet the deposit requirements of a direct property. Combining your account balances with the other members of your family, though, may give you the purchasing power you need to invest in a large asset. It can be tax-effective. 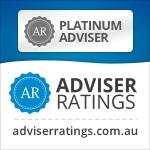 Superannuation receives concessional tax treatment on assets used to save for retirement. The earnings within your superannuation fund are taxed at only 15% with a 33% discount for assets held more than 12 months (i.e 10% CGT)– which is most likely less that your marginal tax rate. The big bonus is if you hold on to that property until retirement the earnings within the pension phase are tax-free. That is on the rent if you keep the property or the sale proceeds if you sell it. (subject to the $1.6m pension transfer limit per member from 1 July 2017). Making repayments from pre-tax dollars. If you can afford to save and have room within your concessional contribution limits then you can salary sacrifice additional income to super to pay off the loan quicker from pre-tax dollars. So paying 15% on salary sacrifice and then making additional repayments rather than paying your marginal tax rate on the income and saving it outside super. Supporting Business growth . 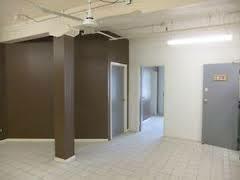 While the rules prevent you purchasing a residential property from yourself or a related party, you can buy a commercial or industrial property (know as Business Real Property) to lease back to your own business – provided you pay a current market rate of rent. This helps free up funds to grow the business. The feel of Bricks and Mortar! – providing more control over your investments. Many SMSF investors appreciate having control over the investments they buy and the ability to “value add” to their property investments via renovation or development (See more detail in SMSF Borrowing: What Can I Do With An Investment Property Within The Rules. there is no substitute for that feeling when you have a real understanding of where your money is invested. Big lumpy illiquid asset. Diversification – the wise move of not having all your eggs in one basket is more difficult to achieve if your SMSF owns just one or two large assets. That lack of diversification may not be in the best interests of the SMSF members especially across generations. The old adage “You can sell off a bathroom when you need cash” comes to mind so make sure you plan your “what if strategies” and look at insurance, cash buffers and especially the funding of future pensions upfront. Set up costs are higher. There are thousands of dollars in set-up costs and there are sometimes higher fees involved in getting a loan through your SMSF with lenders. As always set up costs should be balanced against long term benefits of the strategy. Because of the costs buying property through a SMSF is generally only suitable for funds with $200,000 or more. Not great for Negative Gearing. If you borrow to buy property through your super and you’re negatively geared, the tax offset only applies to other income earned within the fund taxed at only 15% – not at your marginal tax rate on your regular income. You cannot benefit personally from the property. Investments within a SMSF must be purchased via an ‘arm’s length’ transaction and must be maintained on a strict commercial basis. As such with a residential property, you cannot purchase from, lease to, or rent to a related party. The ATO advises that one of the most common breaches of the sole purpose test is in assets that provide a pre-retirement benefit to a member or associate. Some examples of a breach would be using a SMSF property as a personal holiday house, or renting a SMSF property to a family member. You must be certain of future cash flow. Firstly you must expect to have to provide a higher deposit than if borrowing directly. While you can borrow to buy property within a SMSF, you cannot borrow to build or improve the property. Ensure that your level of contributions, plus the rental income, will be enough to cover any costs that you will need to meet from cash. Think seriously about having decent Income Protection insurance as well as Life and TPD insurance for the term of the loan. Again, a cash buffer is essential. Liquidity at retirement. When your superannuation transfers to the pension phase you will need to ensure that you have built up a sufficient amount of cash to fund the required pension payments without risking a fire sale of the property. This can range from 4% of the pension member’s balance before 65 to 5% from 65-74 and upwards from there. Reduction in Personal borrowing capacity: With banks typically asking for personal guarantees now which then restricts your personal borrowing power. (Thanks Mark Hearne). 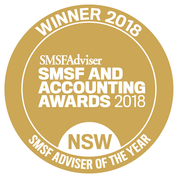 There are many tips and traps to be aware of when it to comes to investing within a SMSF that I have done over 14 separate articles on the subject and all are available free on my blog at www.smsfcoach.com.au . So do some reading and your own research and please ensure that you get professional advice on your own circumstances, and assistance either via our team or your own advisors before you set up your fund or start the strategy.